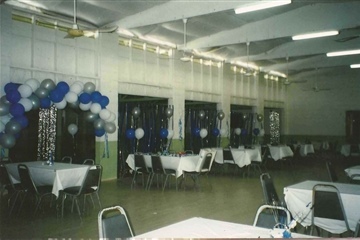 Mr. Escandar Bedran at only 32 years of age and newly married to Ms. Paulita Reyes of Belize City, was providing entertainment in the form of a club he built on what is currently known as Hudson St. San Ignacio. Mr. Bedran built and operated this bar which was a one flat building made of what would be called in today's time, scrap wood. This was one of his first ventures in business in San Ignacio. His wife made cupcakes, sandwiches and bread-pudding, which was sold at the club. Mr. Bedran tells a story of a gentleman who visited San Ignacio and was a guest at his Uncle Abdu's Elite Club, also located on Hudson St. in earlier years. This gentleman, name unknown, told about a famous club in New York known as the Stork Club. More than likely this influenced Mr. Escandar into naming his, the "Stork Club". During Mr. Escandar's years of logging in the Kendal area of the Stann Creek district, Mr. Bedran personally selected hardwoods and pine lumber to build his second club, in the exact same location on Hudson St., which was again called the “Stork Club". 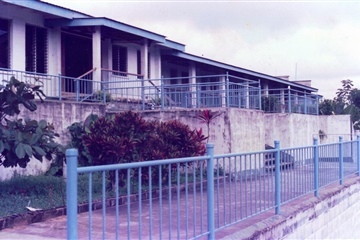 This two story building designed and built by Mr. Bedran, who operated not only a club and dance hall but also a community center, Boy’s Club, ice cream parlor and even classrooms for Sacred Heart College. 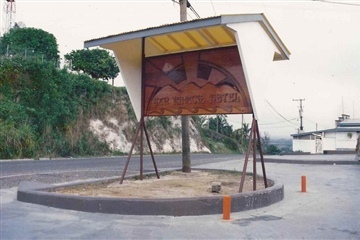 It truly was the social hub for activities and entertainment for the people of San Ignacio, Santa Elena, Benque and even distinguished gentlemen and women from Belize City. The Stork Club in those days hosted many dances, weddings, school plays, and a variety of functions. 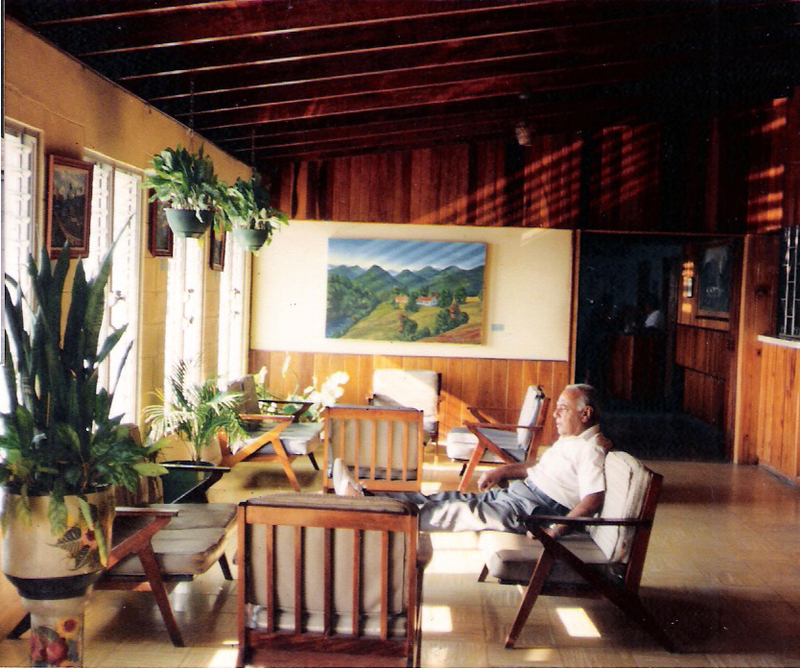 Mr. Escandar even had his own distillery in Cool Shade and made his own rum for the club and other bars throughout Belize. In fact, ask anyone if they remember the famous Tiger Nail and Cool-Shade rum. Stork Club at that time was home of the renowned Atlanticos Band which he helped to manage and was in attendance, entertaining at most dances. The Stork Club flourished for 10 years, until a very devastating fire in 1968, which destroyed not only that club, but also, many homes and businesses in San Ignacio. 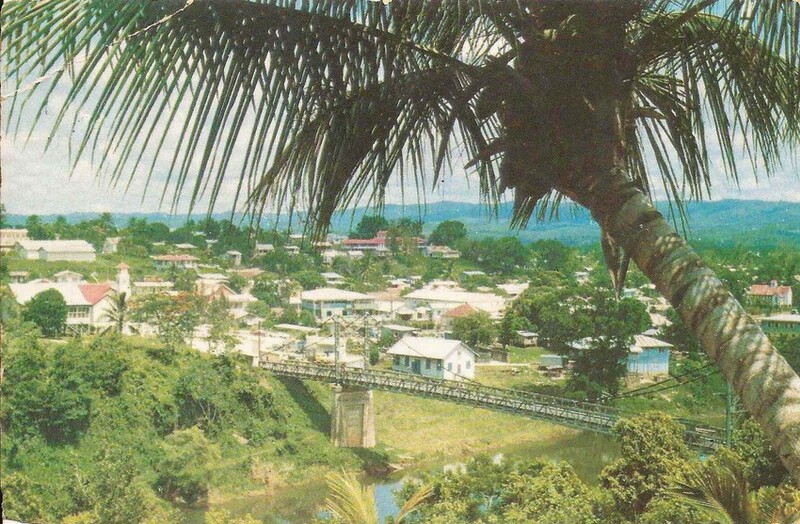 Tragedy hit again only 4 years later when the largest fire in San Ignacio in 1972 destroyed over 28 homes. Among those were Mr. Escandar's family residence, his Shell Gas Station, and many of his relative's homes and businesses. However, no one or nothing could destroy Escandar Bedran's dream. 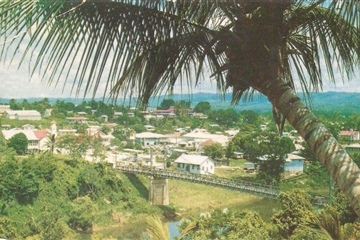 During the years following 1972, Mr. Escandar Bedran continued to work in many areas in Cayo and took up permanent residence at his ranch called Cool Shade on the Mountain Pine Ridge Road. There he built and operated a saw mill, raised cattle and pigs, grew sugar cane and citrus, distilled rum and molasses, loved riding his horses and most of all entertaining his friends and workers. 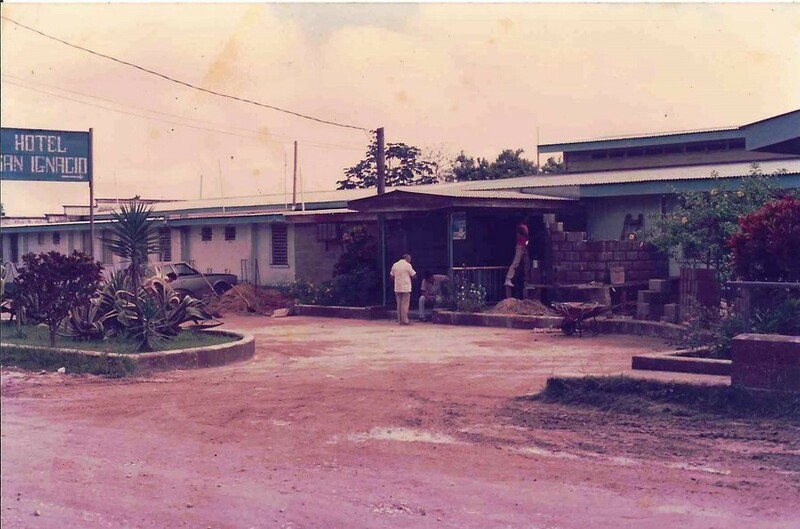 In 1973, Escandar Bedran started dreaming about building again and three years later saw the opening of his Hotel. 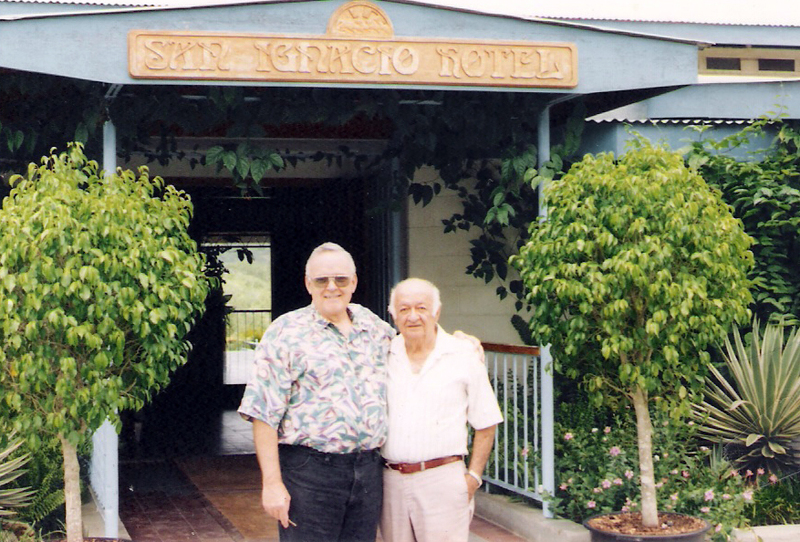 The San Ignacio Hotel, named after the town where he was born. 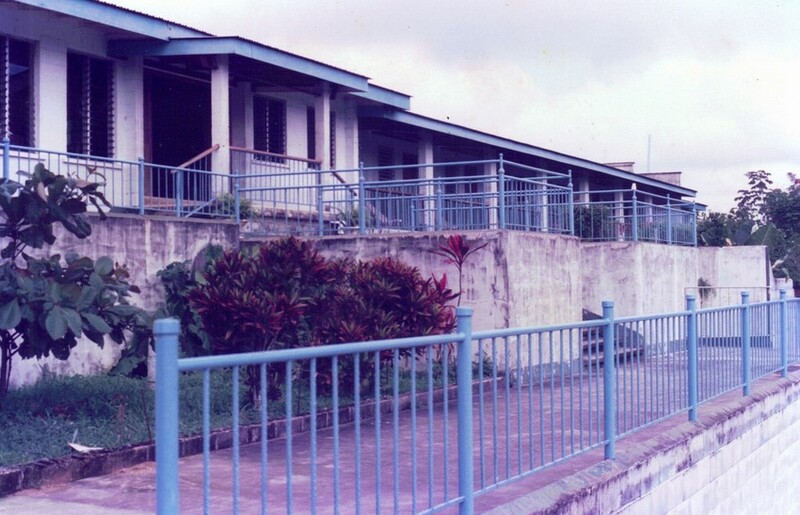 The first phase of construction was the dance hall. Today it is known as the Bedran Hall, designed and constructed almost identical to his beloved Stork Club. To highlight his words, as written in the Belize Investment magazine of Sept. 1976, at the opening ceremonies, "San Ignacio Hotel . . . above all . . .a place for the people of San Ignacio . . ..a spot where local residents could come to relax and have fun at a reasonable price." The past 28 years the Bedran Hall served the same purposes for which he had built Stork Club 2. 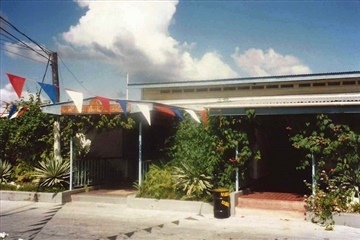 It has been the venue of many weddings, visits by dignitaries, international and national conferences, band concerts, dances, graduations, a host of religious and community celebrations and fundraisers. 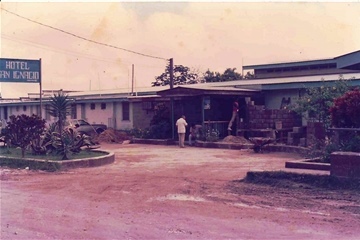 In Feb. of 1994, San Ignacio Hotel was the venue chosen for hosting Her Majesty Queen Elizabeth II. This was a very historical day for Belize and the town of San Ignacio, not to mention the honor for Mr. Escandar Bedran and his family. 1996 was a special year for the Bedran Family as they came together from around the world and Belize for a Bedran Family Reunion. That year also, Mr. Escandar retired and took to enjoying his golden years along with his family, and especially the joy of his children and grandchildren who shared many special times with him. 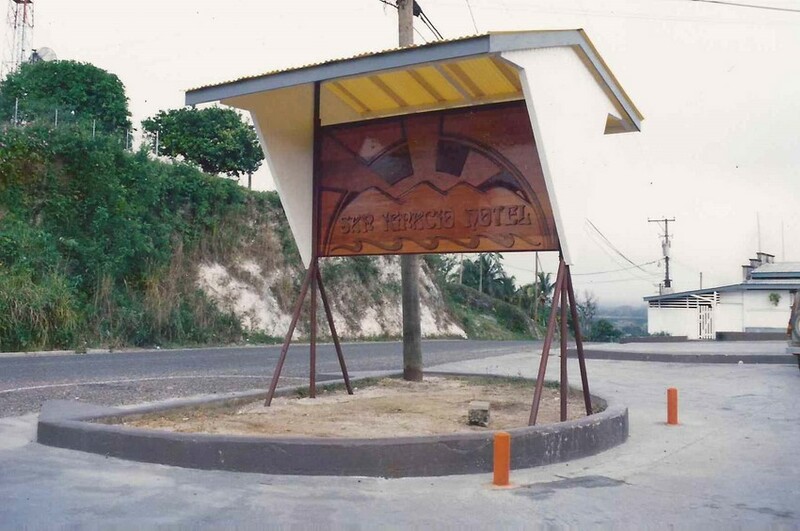 On Dec. 14, 1996 saw the celebration of yet another milestone at the San Ignacio Hotel. 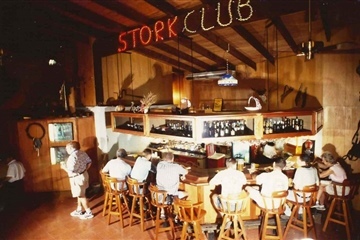 The opening of the newly constructed “Stork Club" named and dedicated to its founder. Mr. Bedran's dreams continue to flourish today as the "Stork Club", under the Management of the San Ignacio Resort Hotel, continues to provide entertainment for the people of San Ignacio and its surrounding towns and villages with the best Club and Bar amenities Belize has to offer. 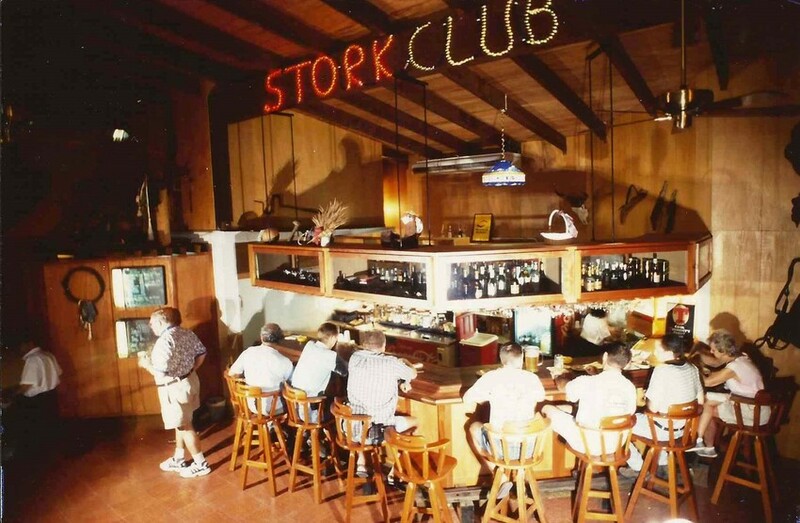 We recall with much pride the weeks before the opening of the Stork Club in 1996 when the Bedran family gathered to discuss business and to find a name for the new bar. It was not until after everyone had made suggestions including some Western names and even Iguana themes, that Mr. Escandar Bedran, being as direct and assertive as ever, stood up and addressed his family by saying. "There is only one name which can best be used for the new bar . . . The Stork Club." 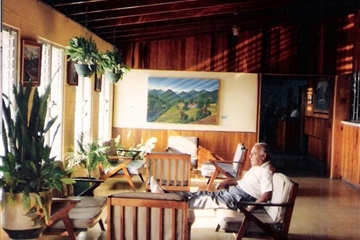 Mr. Escandar dream continues today as his Hotel remains under the management and ownership of his children. Truly a man of all seasons.